The word Teppanyaki is derived from “Teppan” meaning iron hot plate and “Yaki” which means to grill or fry. 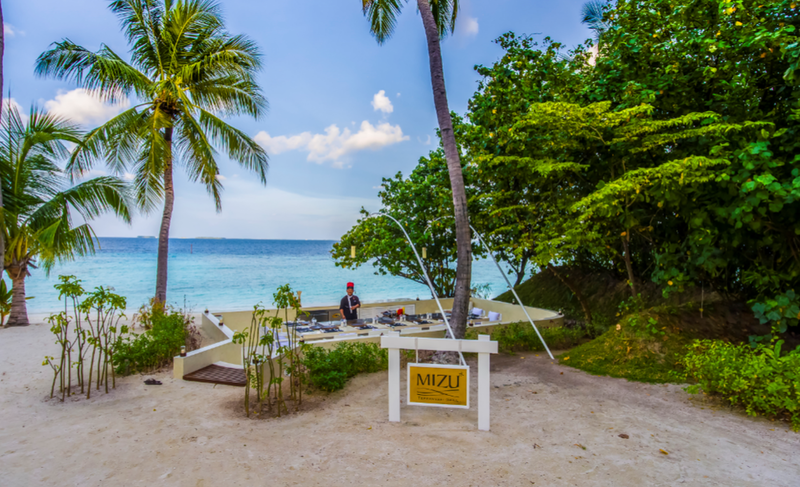 That is exactly what you’ll experience at Mizu : The chef will prepare the most delicious fish, meat and vegetarian dishes as you watch him skillfully cook in front of you with precision. Add to this the use of top quality ingredients, an extensive choice of sakes and wines and the characteristic of sitting between the ocean and the tropical Ayada Maldives.